Home » Also available in 8'x10' size. Also available in 8'x10' size. The Richmond collection uses traditional designs in rich colours for a well-dressed look. Plush, Machine-made, Heatset. 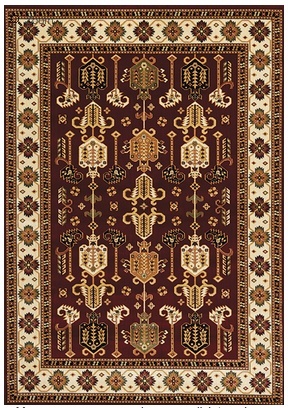 Colours in rug are: Red, green, white and beige. For further details please contact Portfolio Interiors.